Football season is in full swing. 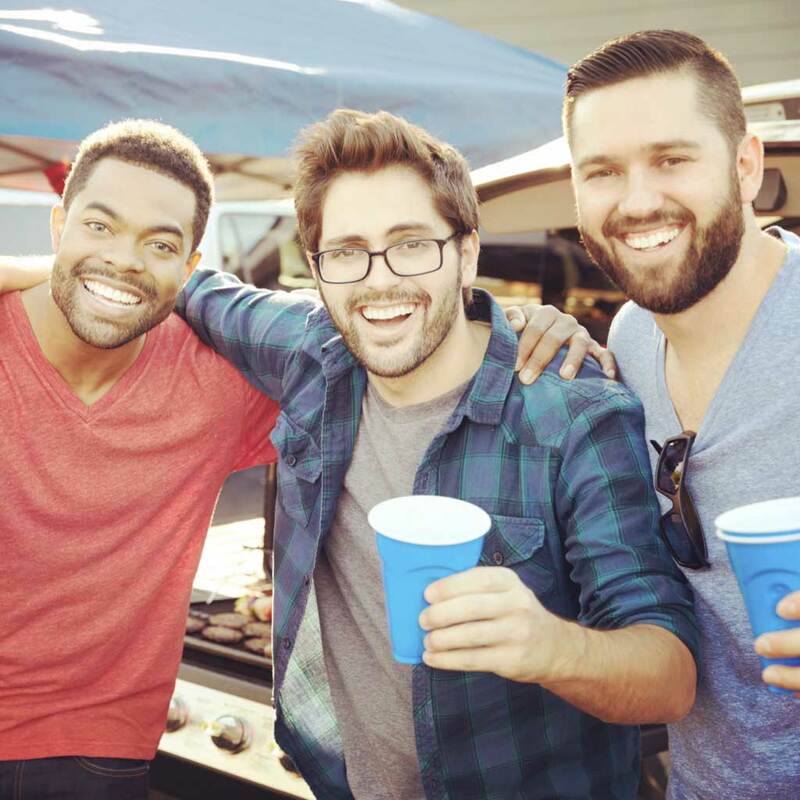 Whether you’re cheering for your college alma mater or your favorite NFL team, every Saturday tailgate or Sunday afternoon football party needs great food and drinks. Sure, beer and pretzels might be fine for the sports bar, but if you’re hosting the game watch, why not give your football party an upgrade? This means more than setting out sticks of celery. Give the table a Southern spin with fun condiments like pickled okra, shrimp, bleu cheese stuffed olives and, of course, bacon. Offer your guests vodka that goes outside the mainstream. With the rise of regional high-end craft vodkas your options are wide ranging. At the very least be sure it’s not in a plastic bottle, you’re not in College anymore. OK, maybe you’re not making actual vodka, but you can make your own infused-vodkas (think cucumber, jalapeno, bacon) at home before the party starts. Think of how impressed your guests will be! The cocktail police won’t ticket you for putting down the vodka bottle and using bourbon in your Bloody Mary. It’s an easy way to give your Bloody Mary bar a fun, unexpected twist. Your guests need more than just drinks at the tailgate party so create a food menu that complements your Bloody Mary bar. Instead of worrying about a wide selection of food items, pick five or six fan favorites and make sure you have plenty to go around. 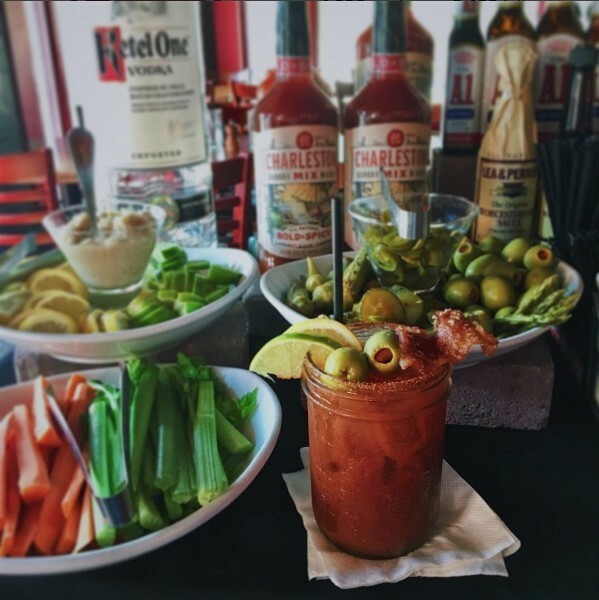 You’ve invested the time to find a great vodka (or bourbon) and you’ve set up a fabulous food spread and a selection of condiments on the Bloody Mary bar – now’s not the time to toss any old bottle of Bloody Mary mix on the table. 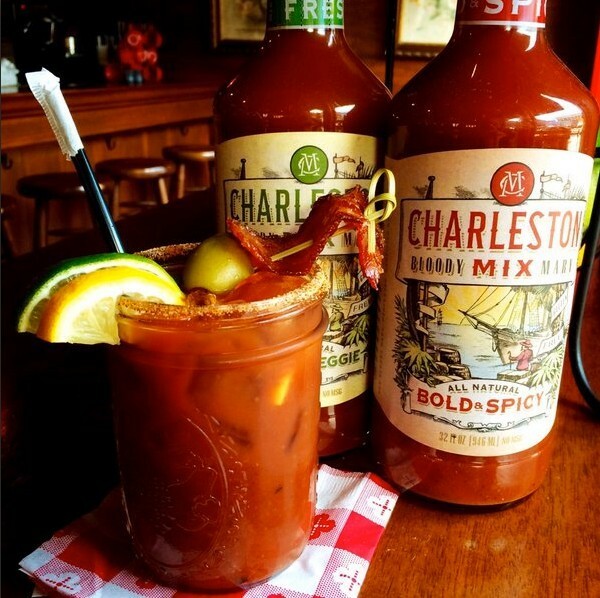 Charleston Bloody Mary Mix products, for example, are made with premium, natural ingredients that have been native to Lowcountry pantries for centuries. These mix recipes are free of horseradish and instead feature a unique blend of habanero mash, apple cider vinegar, Worcestershire sauce and spices for enticing heat and flavor. Choose from “Bold & Spicy” (perfect right out the bottle) or “Fresh & Veggie” (with a little less heat, and a lighter flavor it’s great for those who like to doctor up their mixes). While the “Fresh & Veggie” is a vegetarian friendlier mix both versions use only premium all-natural products and are gluten, MSG, and HFCS free. Another football-filled weekend is just around the corner so it’s not too late to upgrade your tailgate and find the Bloody Mary mix that will have your friends clamoring for more.